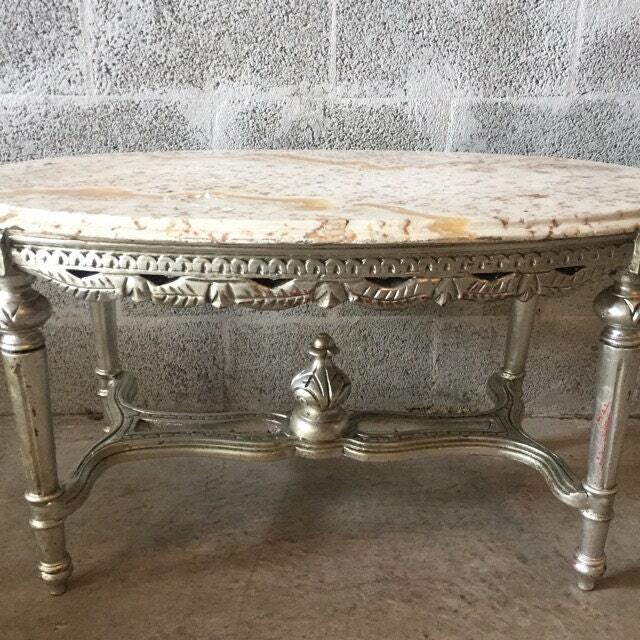 Super cool oval coffee table refinished in Silver leaf with stunning carvings. Sturdy ready for everyday use. 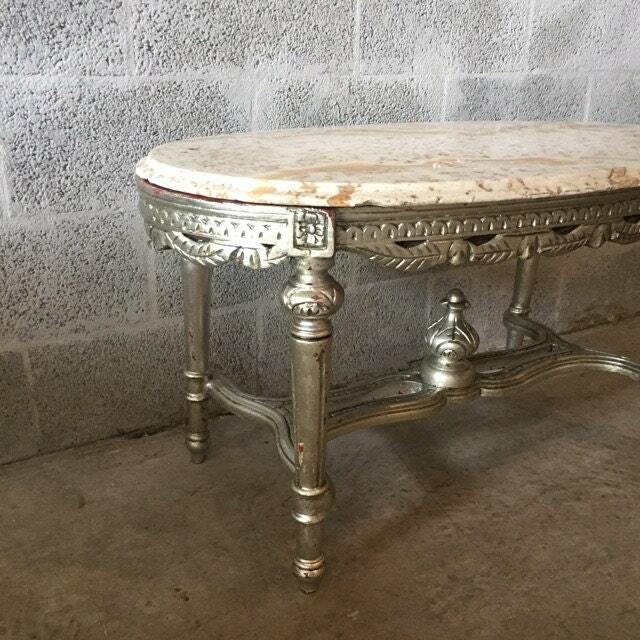 French coffee table purchased in a LOT of 8 coffee tables at auction. 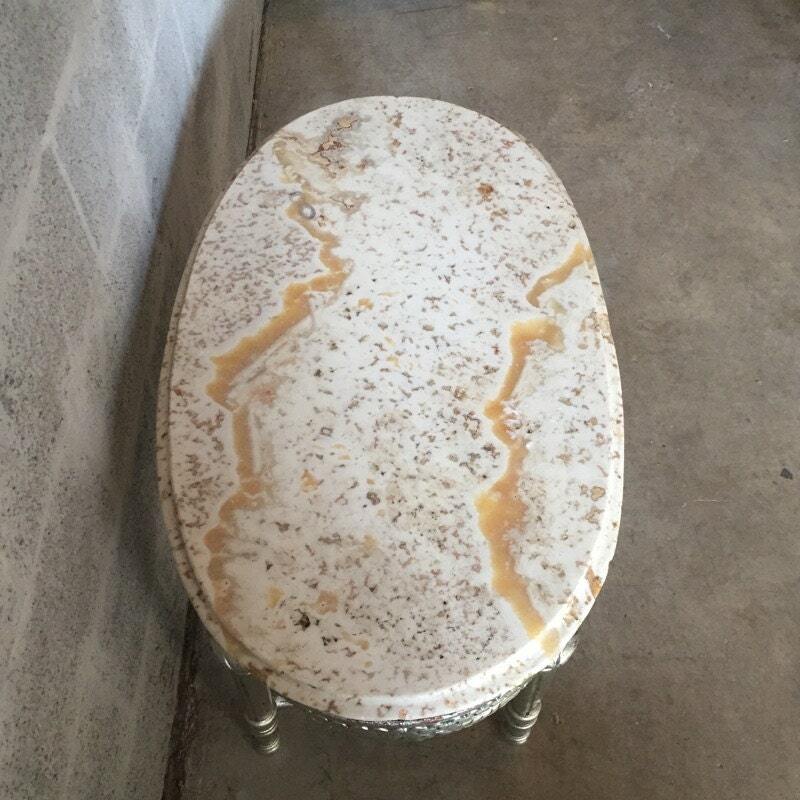 Marble shows beige/creme color. 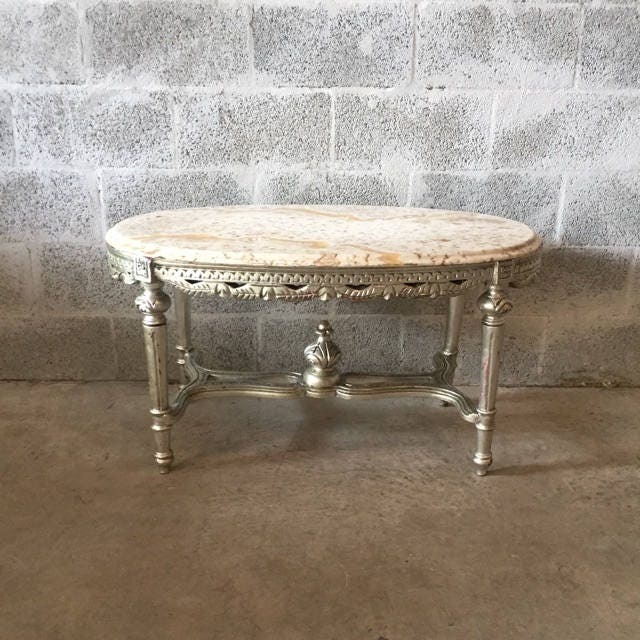 The item was refinished in Italy. Ready for every day use. 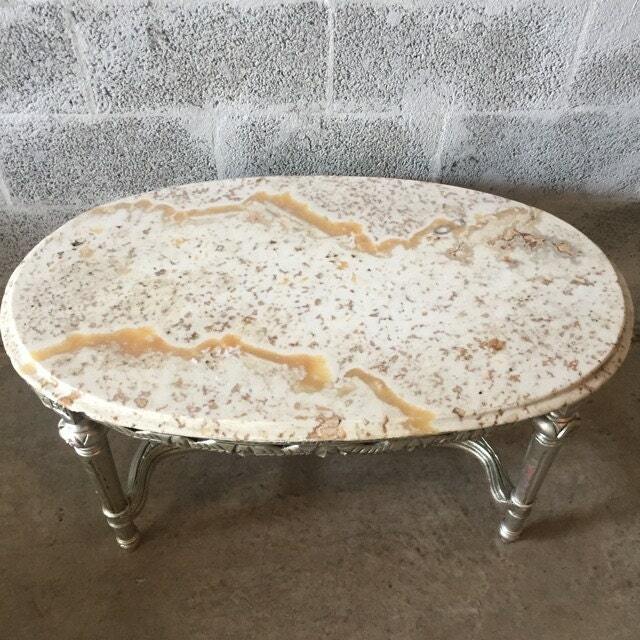 Dimension: 20.5"H x 38"W x 22"D.